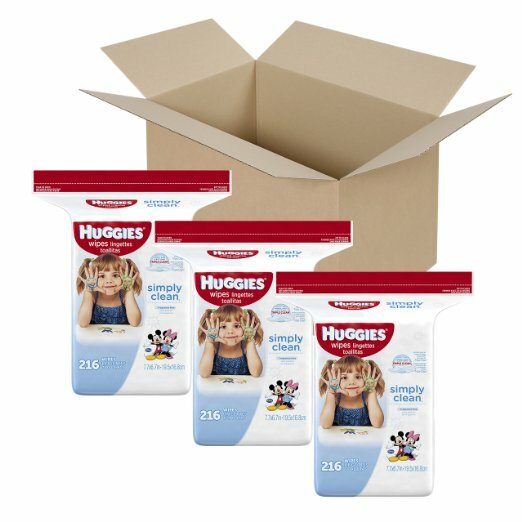 Savvy Spending: Amazon: Huggies Wipes for only 1 cent each! Hurry! Amazon: Huggies Wipes for only 1 cent each! Hurry! Amazon has an amazing deal on Huggies Simply Clean Baby Wipes, Refill, 648 Count! These are marked down to just $11.11, plus you can clip the $4 off coupon and if you choose Subscribe & Save (on the right) you'll save even more-- knocking your price down to just $7.11 shipped, or 1¢ per wipe! You could separate these into 3 different gifts and pay less than $2.50 for each pack of 216 wipes!